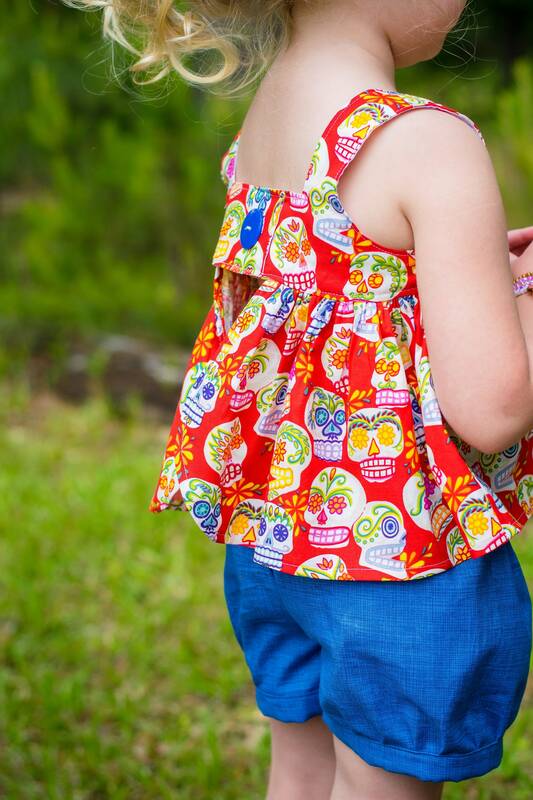 This Sugar Skull Top is available in an open back or closed back style. 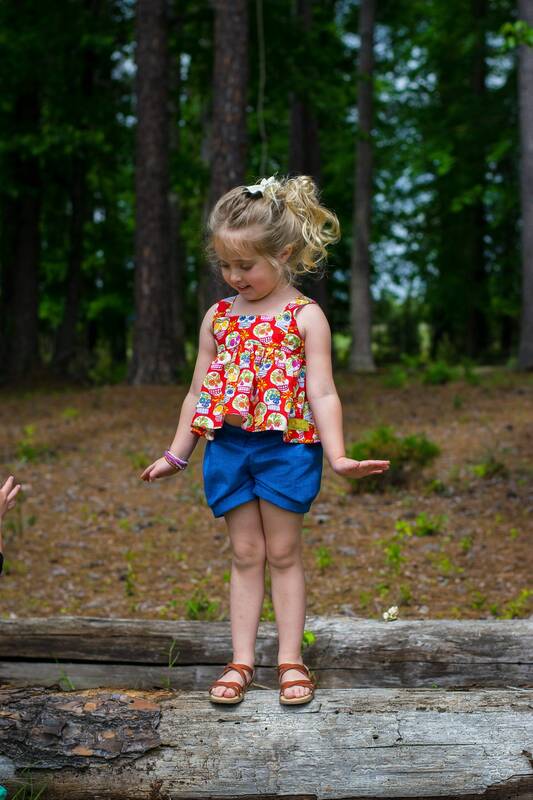 The modified Crop length is perfectly modest! 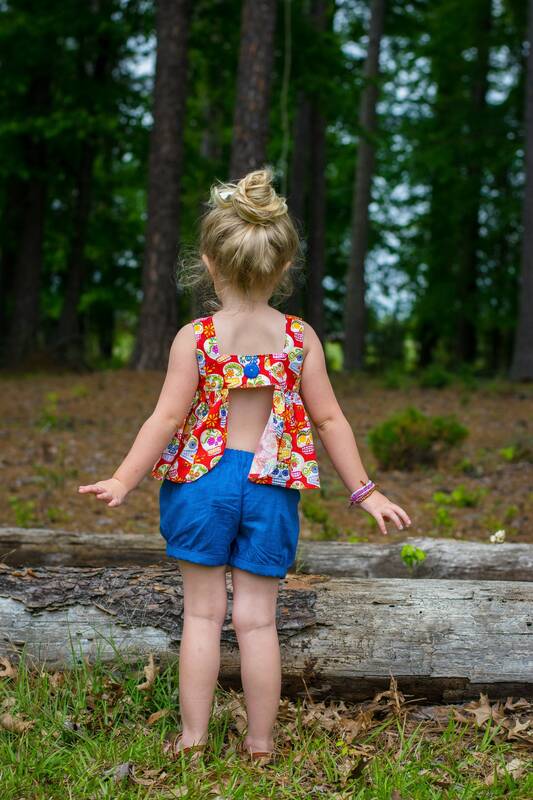 Bubble Short Shorts are cuffed with an elastic waist in a coordinating blue fabric. 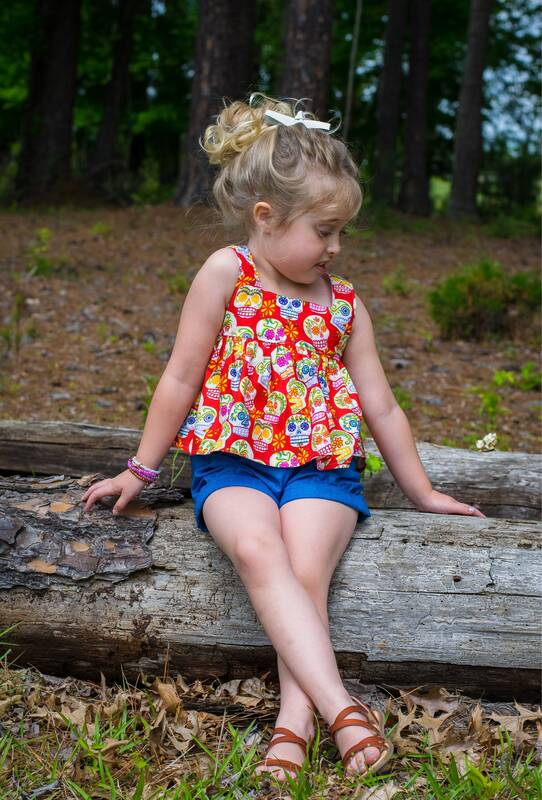 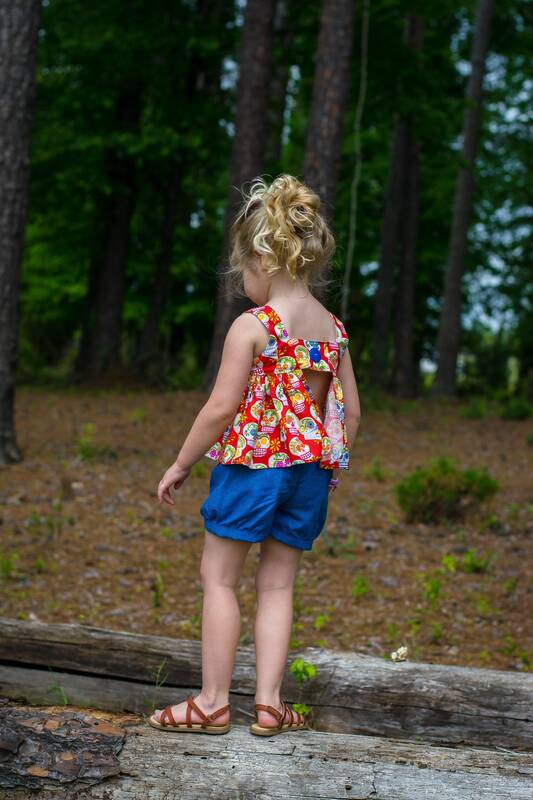 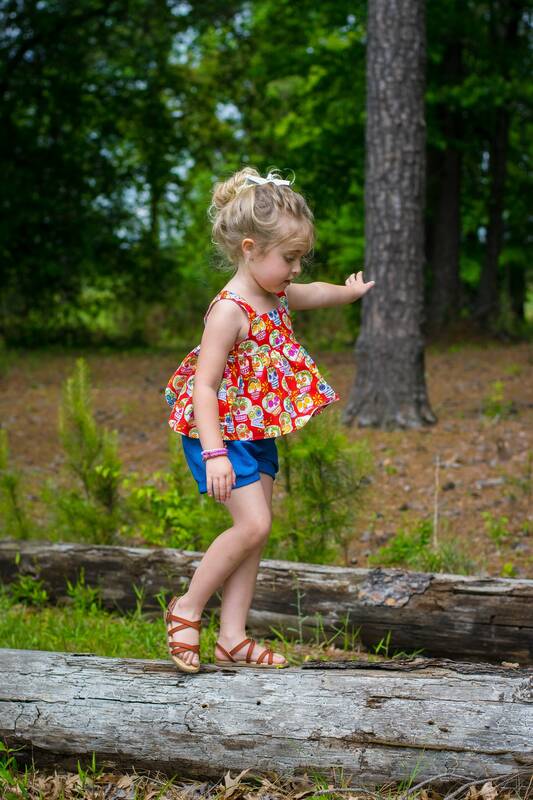 Shorts and Top are made from 100% Cotton outer and 65% Polyester 35% Cotton Bodice Lining. 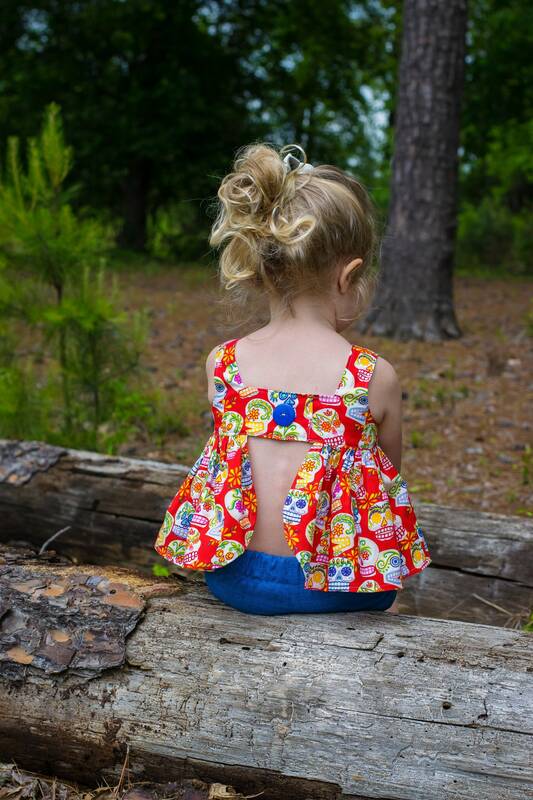 6-12 Mo Chest Size 19" 9.5"
6-12 Mo Waist 19" Inseam 1.5"
18mo Waist 19.5 Inseam 1.75"
2T Waist 20 Inseam 2"
4T Waist 21.5 Inseam 3"
5 Waist 22" Inseam 3.75"
7 Waist 23" Inseam 4.75"
8 Waist 24" Inseam 5.25"
10 Waist 25" Inseam 5.5"
12 Waist 26" Inseam 6"